cash or check are ok! Will pay to have them shipped or I can deliver myself if in the tri-state area. Email if interested. Get more for your wedding! 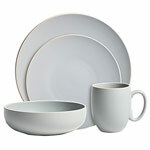 Don't forget to mention ChossonKallah.com when visiting Vera Wang For Wedgwood Service For 12.